Arbitration has its place in the negotiation of differences between workers and employers where both consent to such a process and where there are no larger issues at stake. But, I lament the way in which arbitration is increasingly being used not as an alternative for resolving workplace disputes, but to undermine the rights of workers to jointly pursue matters of serious concern. Such attempts undermine our nation’s shared value of justice. A fair workplace, free from discrimination, is a shared American value. Many of our nation's Fortune 500 companies reflect this value in their public-facing materials and practices, but sadly, at the contractual level for their workers, the promise of an even playing field gets tilted. It’s there in the fine print of an increasing number of employment contracts: a clause whereby you waive your legal rights and, in the event of dispute, are forced into a process that happens in secret and favors employers: arbitration. A new study from the Economic Policy Institute found that over 60 million American workers are subject to mandatory arbitration clauses, and that nearly 25 million workers have waived their right to bring a collective action. Not only must these employees bring claims against their employer in arbitration, they must do so all alone. On October 2, the U.S. Supreme Court will hear oral arguments in National Labor Relations Board v. Murphy Oil USA. The case, consolidated with two others [Epic Systems Corporation v. Jacob Lewis | Ernst & Young, LLP et al v. Stephen Morris et al] for review, will determine whether these waivers, forcing you into arbitration, are enforceable. 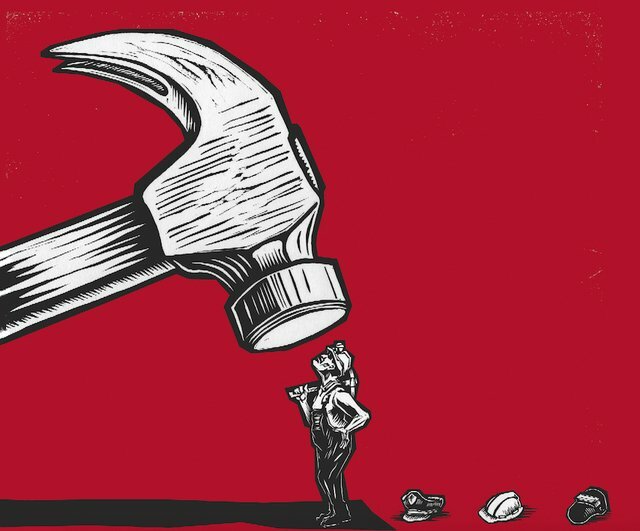 Impact Fund filed a brief, together with NAACP-LDF and civil rights firm, Cohen Milstein, on behalf of the civil rights movement that supports the NLRB’s position that such “agreements” violate the National Labor Relations Act by restraining employees’ right to join together to hold their employer accountable. The brief connects the importance of concerted action to the fight for equal opportunity in employment. Historically, this has been integral to advancing civil rights. Concerted actions helped challenge a wide range of discriminatory employment practices including the categorical exclusion of women from jobs that harm their reproductive capacity, forced retirement based on age, gender-restricted hiring, and arbitrary height and weight job requirements that bar the hiring of women. The brief lists more than 120 important civil rights cases that could not have been brought if workers were barred from concerted action. These cases have been crucial to greater accountability and transparency: a victory for workers sends a strong signal to the public – and the market – about what is, and is not, acceptable. Take for example, a situation where an employer has a history and pattern of gender discrimination in employment. That would be hard to prove on an individual basis, but as part of a group, the case becomes stronger and the remedy affects everyone – for the better. Let us not forget that Brown v. Board of Education, the class action which brought about de-segregation in schools, was not about an individual student; it was about the country we were going to live in. The erosion of legal remedies to address the bad behavior of some of America’s worst employers raises serious concerns for the rule of law in our country. Why? Because employment is not the only front on which the arbitration cancer is at work. Equifax, the bogus Wells Fargo accounts scandal, the Trump administration’s mania with rolling back similar protections for residents of nursing homes--even in the wake of the eleven deaths after Hurricane Irma, and Congressional opposition to a recent Consumer Financial Protection Bureau rule that would call the fly-by-night operators in the financial services industry to heel, all indicate a sinister aim, breathtaking in its audacity – the intention to undermine democratically enacted rights and laws. The most troubling aspect of these developments is that rather than a frontal assault, the tactic is to eliminate your legal rights indirectly, by attacking the processes by which laws and rights can be enforced. Democracy relies on your engagement in the democratic process. You vote (I hope), yes, but when government fails, you need full access to the courts to hold the wealthy and the powerful accountable. That right is being eroded before your very eyes. It must remain available to all of us if we are to continue challenging discrimination in our country and ensuring that ordinary people are not forced into a black box, privatized, justice system designed by and to serve corporate America. Thank you to my colleague Daniel Nesbit whose blog on the amicus brief we filed in Murphy Oil provided the launch pad for this article.